In addition to the five excellence awards, the jury also selected 20 achievement award recipients for 2019. These awards recognize good planning work. Achievement award recipients are collectively recognized at the National Planning Conference's awards luncheon. After Hurricane Sandy devastated the East Coast, New York's Waterfront Alliance collaborated with over 150 waterfront experts and activists to create WEDG (Waterfront Edge Design Guidelines), a comprehensive guide for planning and designing more resilient, accessible, and sustainable waterfronts, especially those impacted by sea-level rise and extreme storms. WEDG provides data for real-time decision making and shares best practices to help coastal communities prepare for waterfront disasters. 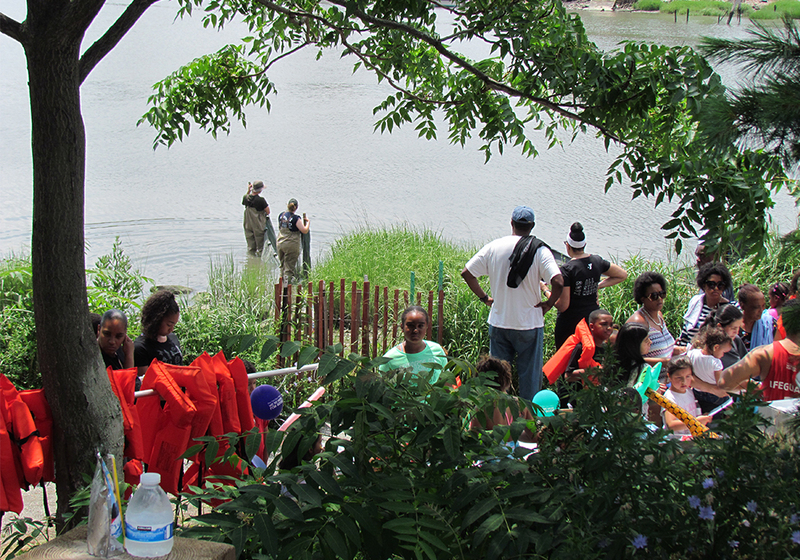 Community outreach through WEDG Neighborhoods and a platform to empower advocates to demand better waterfronts. More than a collection of guidelines, WEDG represents a forward-thinking movement to advance the practice of waterfront design to help protect coastal communities for years to come. WEDG helps communities advocate for better access to and from their waterfronts. 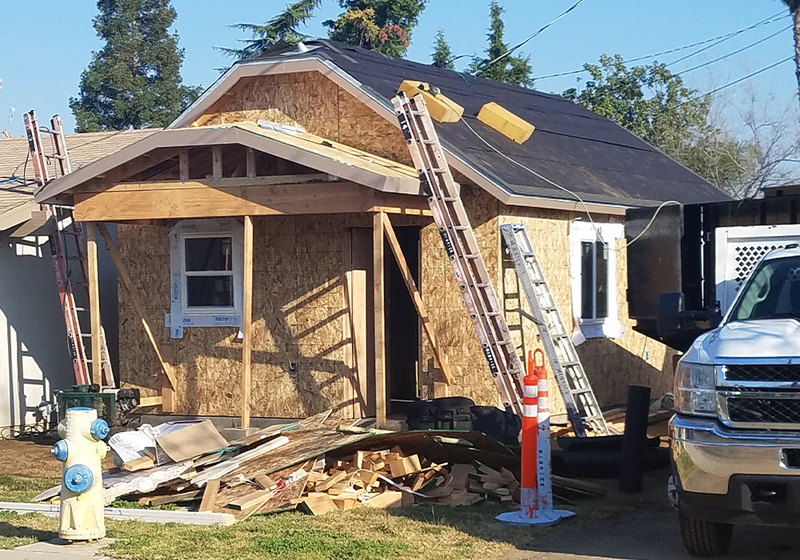 In a community that lacked sufficient affordable housing, the City of Clovis Cottage Home Program has improved housing stock and increased property values while newly built cottage homes have converted alleys into revitalized pocket neighborhoods. Qualifying homeowners can select from three different floor plans with less than 400 square feet and three different elevation styles, all free of charge. There is enough private space for an adult with a child still attending school or a place to care for elderly parents. 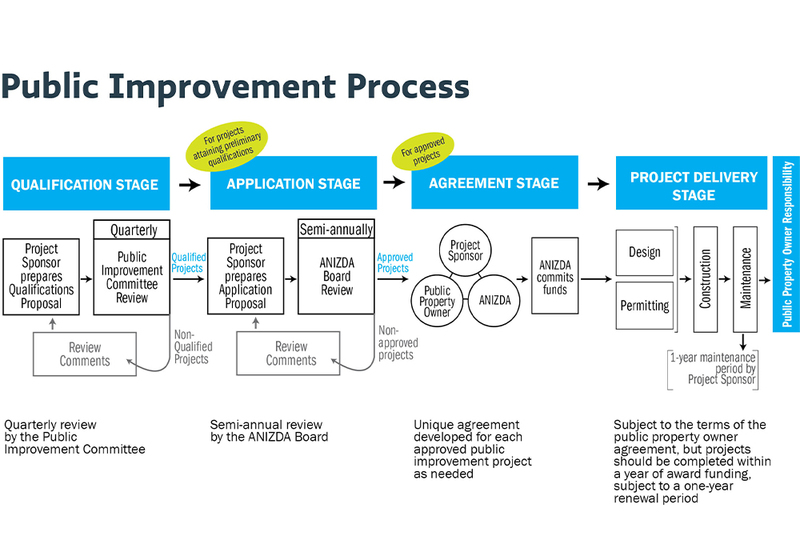 The program was implemented prior to state regulatory reforms for accessory dwelling units. At the end of 2018, 11 cottage home permits were issued and are at various stages of construction. Developed by the UCLA Luskin Center for Innovation, SMART Parks: A Toolkit aims to give park managers, designers, and advocates a centralized guide for using technologies to improve park operations in their communities and resolve common management issues, such as underutilization, rising maintenance costs, and energy and water usage. Each toolkit chapter evaluates the technologies that can be applied toward different uses, such as landscaping, irrigation, stormwater, and activity spaces; provides guidance on staff training and cost constraints related to technology implementation; and suggests creative funding strategies and partnerships to manage SMART Parks more efficiently. 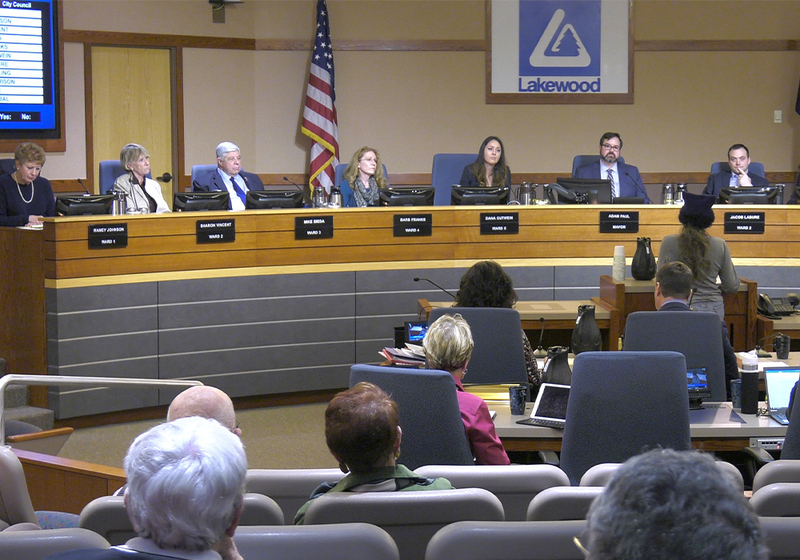 A web-based platform enables Lakewood residents to participate in the planning commission's public hearings without being present at the live meetings. Engage 2017: Housing, Parking & Natural Resources aims to communicate to the public how updates to four sets of regulations affect both jurisdictions and are connected to the shared community vision. Four separate regulatory updates were branded under one initiative and shared a common timeline. By addressing all four updates simultaneously, the jurisdictions were able to engage in more meaningful discussion and decision making with local citizens to achieve the larger community vision of ecosystem stewardship, growth management, and quality of life. 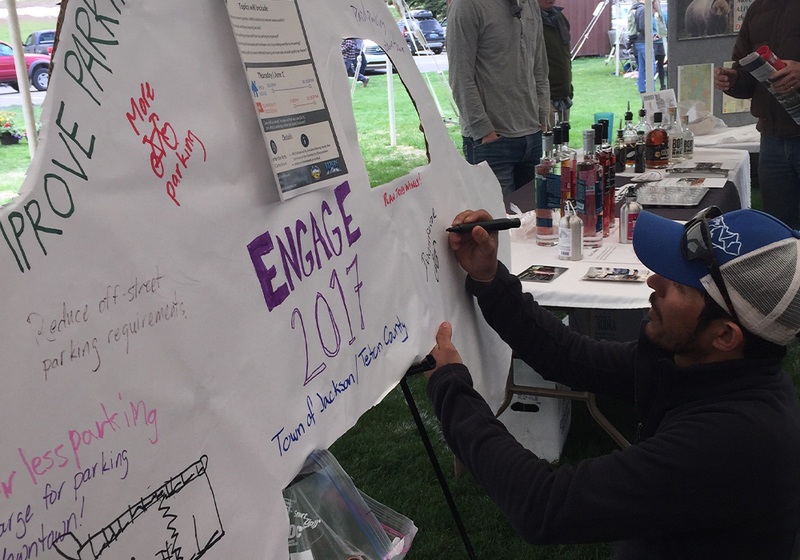 Residents of Jackson and Teton County were invited to share their views about the Engage 2017 plan for housing, parking and natural resources. With finite assets such as land, capital, and facilities, as well as projected growth in cargo and cruise volumes in the Gulf region, Port NOLA's strategic master plan enables the port to think cohesively about growing vital maritime and hospitality industries and capitalize on the potential of the region. The plan positions the port to optimize and extend all available multimodal assets, on and off port property, along the Mississippi River and inland waterway system, the rail network, and via access to interstate highways. At the plan's core, and key to its success, is collaborative partnership with a wide range of stakeholders. Throughout the planning process, the port invited the participation of its tenants; carriers; customers; federal, state, and local elected officials; economic development and civic leaders; and neighbors — residents who rely on the port for family-supporting jobs. 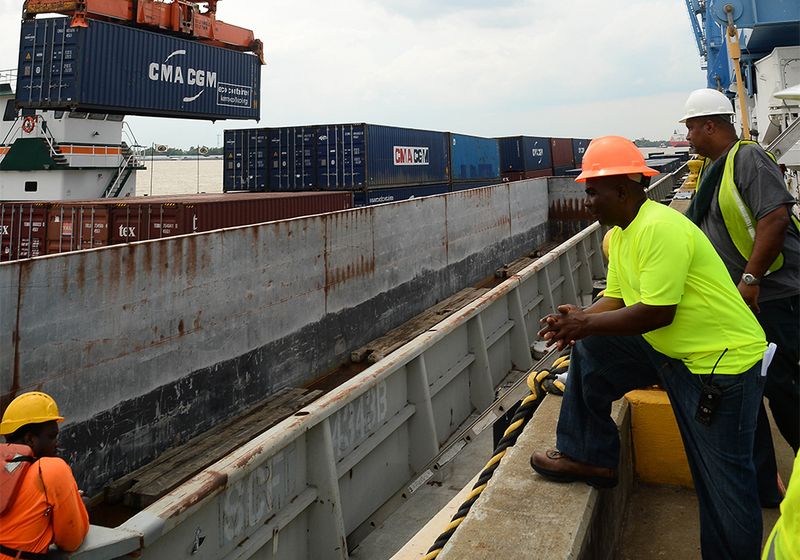 Guided by the vision set forth in Port NOLA's Strategic Master Plan, the Port of New Orleans is working with surrounding local governments and communities to drive economic prosperity. As the gateway to three national parks, Los Alamos County saw an opportunity to develop its tourism industry to drive economic diversification. The Los Alamos Tourism Strategic Plan shows how goals for the economy, natural and cultural resources, resident quality of life, visitor experience, development, and recreation can all be met through a collective effort. 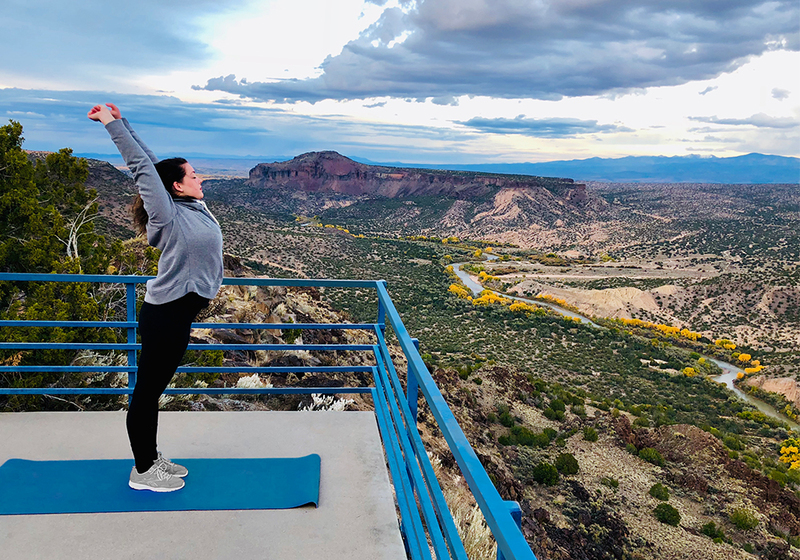 The Los Alamos Tourism Strategic Plan capitalizes on the location of Los Alamos as a gateway to three national parks, outdoor recreation, and abundant natural beauty. Sustainable Chinatown began in 2014 as a collaboration between the Chinatown Community Development Center (CCDC), San Francisco Planning Department, San Francisco Department of the Environment, and Enterprise Community Partners to create more affordable housing, improve access to public space, and provide services to residents and businesses while emphasizing environmental performance and long-term resilience in the face of threats such as gentrification and climate change. Key projects include the renovation of the Ping Yuen affordable housing development (including water and energy efficiency improvements and a $1.5 million solar photovoltaic installation), community education on sustainability and resilience topics, efforts to introduce greening and stormwater infrastructure throughout Chinatown, and a proposed "Resilience Hub" to help the neighborhood withstand climate change and other natural and man-made disasters. This affordable housing project received upgrades to introduce solar panels and improvements to enhance water and energy efficiency while improving resident comfort. 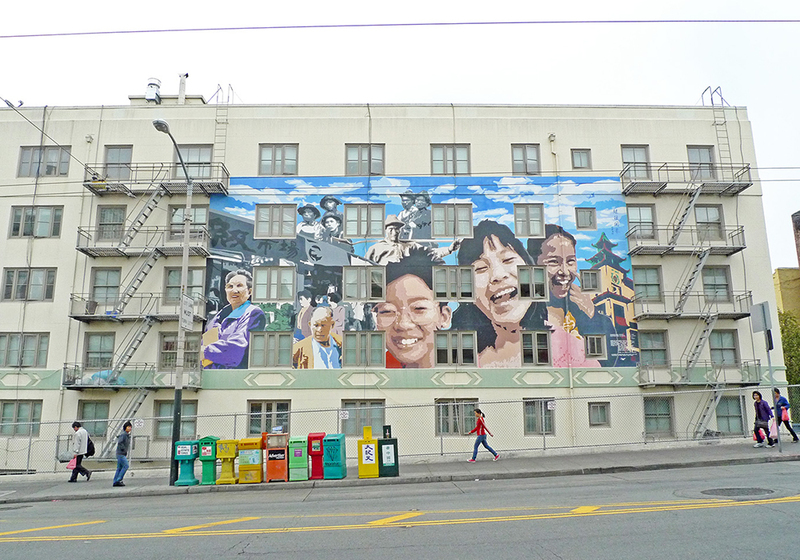 Additionally, residents advocated for a new 2,500-square-foot community center that will serve as a hub for social and educational activities, meetings, and celebrations in the Chinatown community. When the Town of Stoneham, Massachusetts, went 13 years without a planning department, a culture of haves versus the have-nots was created at the decision-making level. Those regularly at the table made all of the choices with little to no public input, and the underrepresented simply went unheard or ignored. 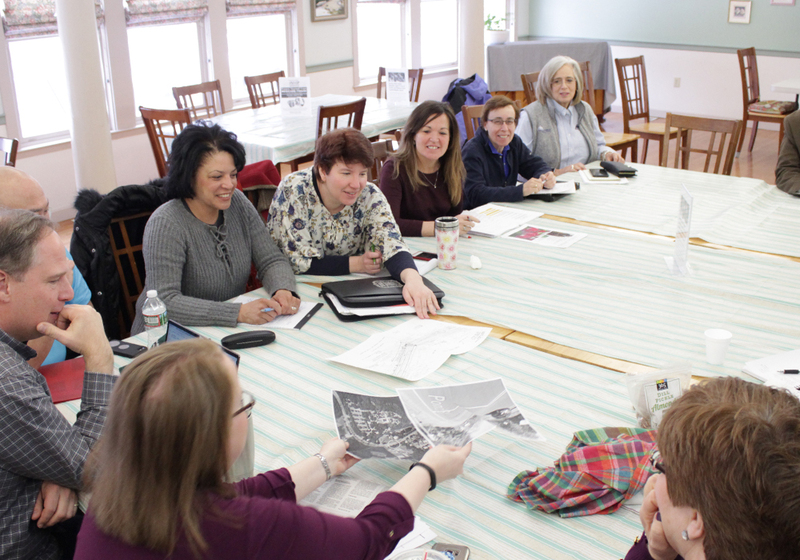 Recognizing the lack of transparency and inclusiveness in decision making, a group of local residents formed the Stoneham Transportation Advocacy Committee (STAC), a volunteer-run advocacy group committed to improving transit connectivity for all. 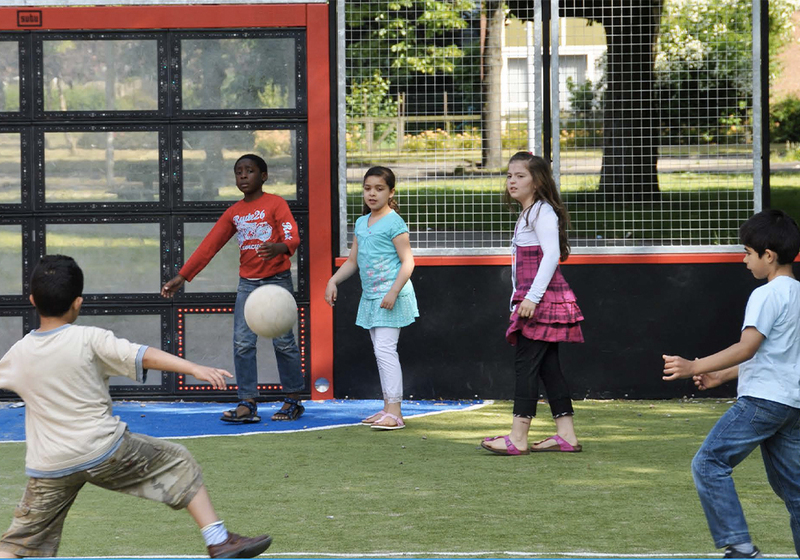 Operating without a budget and no true authority in the municipality, STAC has created a culture where people of all demographics can be involved in the planning process. The group's success includes but is not limited to: expanding public transit service, improving vehicle parking signage, introducing maps for bicycle parking locations, and supporting Complete Streets initiatives all while creating a transparent, safe place for people to participate and work together on finding solutions for all rather than the few. STAC members review intersection mapping at one of their monthly meetings. Shaker Heights, Ohio, which is known for its historic residential character, lacked a true downtown after decades of auto-centric and unplanned development put many locally owned shops out of business. Over a 15-year period, a series of five plans were implemented to redevelop a commercial district into a mixed-use, transit-oriented downtown. The Van Aken District Transit-Oriented Development added 60,000 square feet of office space, 100,000 square feet of retail space, and 101 housing units, making it the largest construction project in the city's history. A dangerous six-legged intersection was converted into a standard four-way intersection with safer pedestrian crossings, efficient traffic flow, and improved transit station access. With the new development, the city increased revenue from commercial businesses and attracted a new generation of residents to live and work in the area. 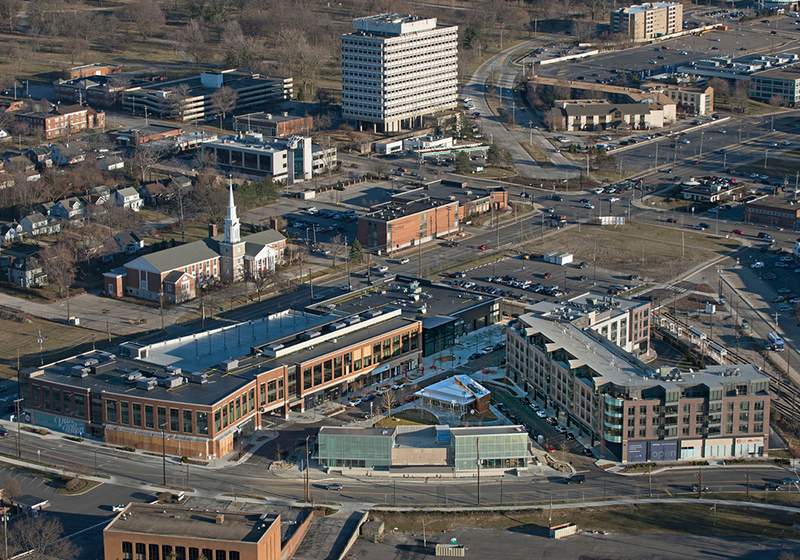 A new vibrant, mixed-use development in the Van Aken District of downtown Shaker Heights. The People's Planning Academy is a free public education program born out of the city's need to diversify community voices during the planning process. The academy responds to two engagement challenges: younger generations are civically engaged but may not be as involved in the city's planning process as their parents were, and underrepresented populations lack basic civics knowledge that would benefit in their participation. Classes explain the fundamentals of planning and train participants on the new land use classification system used in the city's comprehensive plan update. Social equity issues are woven throughout the program with discussions about food access, fair housing, and transportation equity. Participants learn how planning can accomplish four key goals: make Indianapolis healthier, more inclusive, more competitive, and more resilient. The six classes are televised on the local public access TV network and are available through online recordings. The People's Planning Academy highlights public education as a critical tool to influence the trajectory of community growth while offering planners a valuable platform to build community support. The student becomes the planner: PPA participants arrange a mix of land uses on a game board. 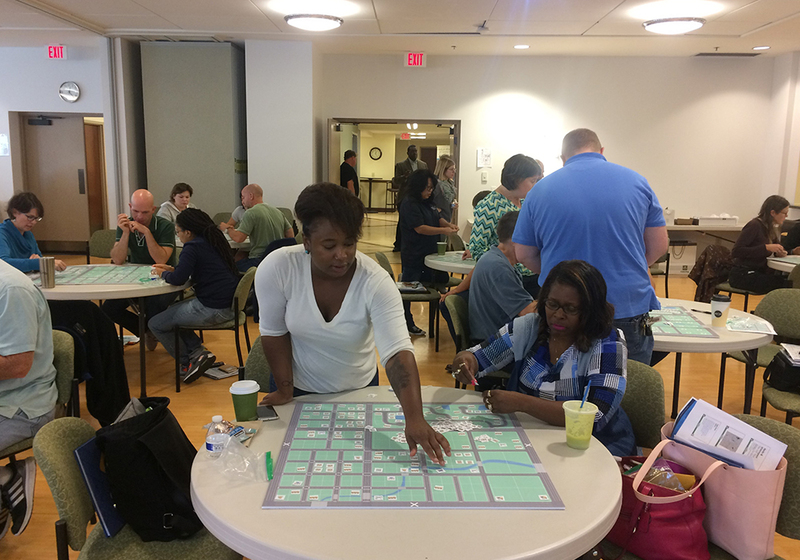 The Southern California Association of Governments (SCAG) and its partners hosted 10 Go Human pop-up demonstration events in 10 communities in 2017. The events raised awareness around traffic safety, encouraged walking and biking, and helped communities reimagine their streets with potential infrastructure improvements. While these events were temporary in nature, they fostered permanent change by building community support, encouraging resident feedback, and giving residents and local leaders an opportunity to physically experience planned changes. 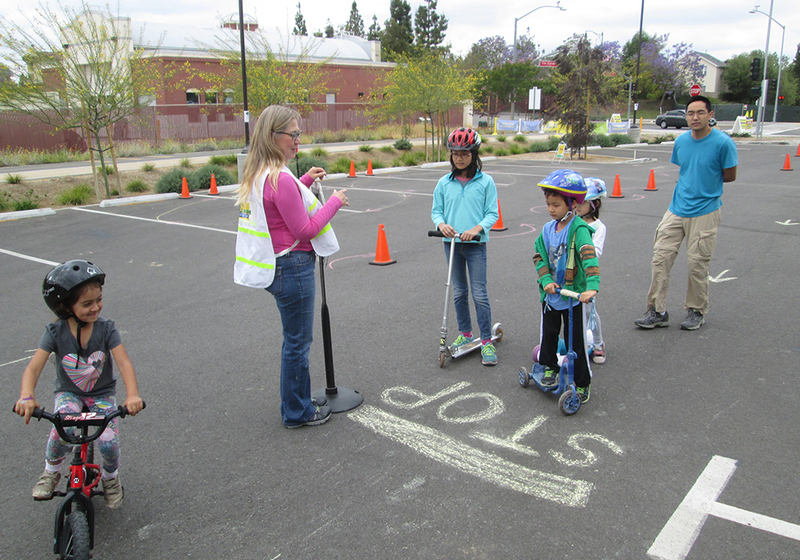 Children learn skills to stay safe while riding on streets and pathways during the Go Human event in Brea, California. Parker the Planner, A City Planning Story is one in a series of children's books developed by design firm Bolton & Menk that introduces the design professions to a young audience. Readers follow the adventures of Parker Perez, a child living in the city with no sidewalks or places to play. As a result, Parker sets out to build his own city. The book translates technical information into a relatable and easily understood format that expands the reader's knowledge and perspective of the built environment. The firm has coordinated book readings and distributed books to schools and clients and at community events. 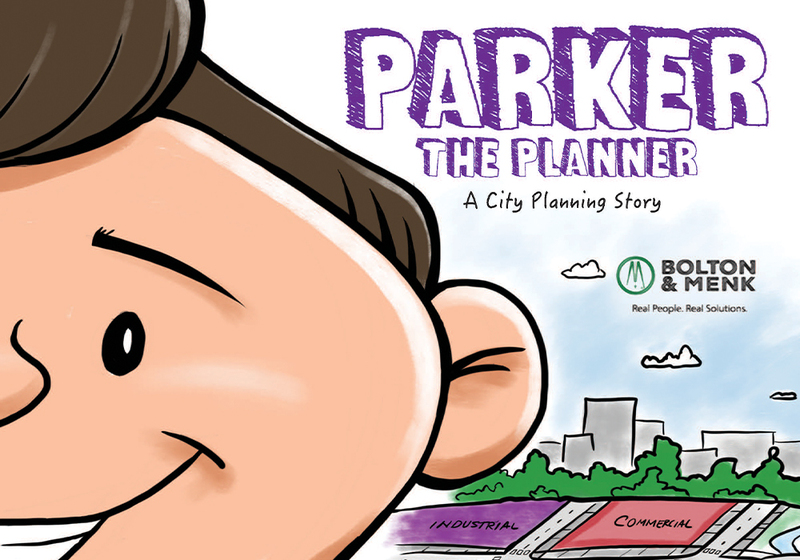 Through the adventures of Parker Perez, children learn what it means to be a planner. Through Climate Ready Boston, the City of Boston is not just planning for the next storm it will face, it's planning for the storms the next generation will face. The City of Boston's Environment Department led the development of the Climate Ready Boston Report in 2016, which outlines 39 resilience initiatives to prepare Boston for potential impacts of climate change and sea-level rise. Climate Ready Boston was created to support the work of Imagine Boston 2030, Boston's first citywide plan in 50 years, ensuring that climate resiliency is baked into every aspect of city planning. The underlying theme of Climate Ready Boston is to create a more livable and equitable city. The plan identifies opportunities for future resilient investments to expand economic opportunity, especially for low-income residents, people of color, and women. Since the plan's completion in 2016, 24 of the 39 initiatives are under development, in progress, or completed. To learn more about the City of Boston's ongoing climate resilience work, visit Boston.gov/climate-ready. 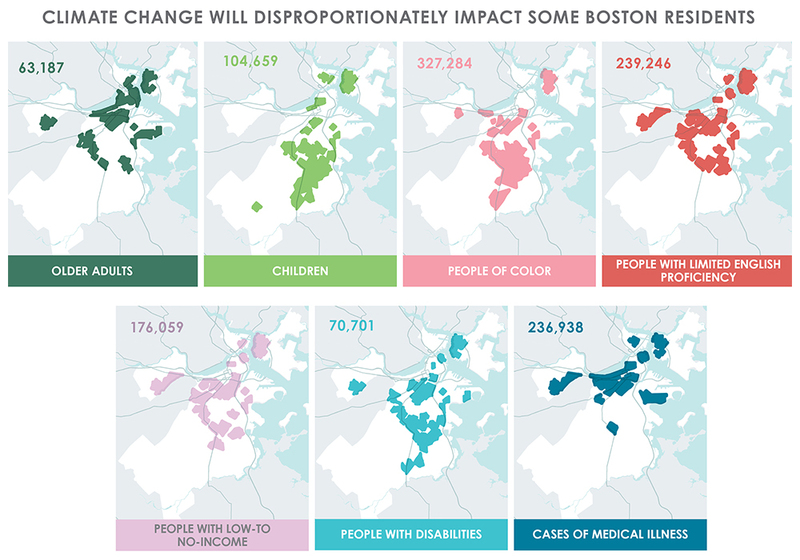 Social Vulnerability Analysis: Climate change will disproportionately impact Boston's vulnerable residents. The plan analyzed vulnerabilities, risks, and strategies for seven types of vulnerable populations. After five flood disasters devastated the region and proposed highway and residential developments threatened to strain its limited resources, Liberty County officials worked with Texas A&M University and its cities to develop the Liberty County Strategic Plan that outlined a vision of future growth and long-term resiliency. In the first-ever county-wide comprehensive plan in the state of Texas, Liberty County set forth standards for additional floodplains and new development away from hazards, extended rural transit for commuters to Houston, and established a social services committee to combat social issues like homelessness and substance abuse — all with the aim to become more family-friendly, resilient, equitable, and sustainable. 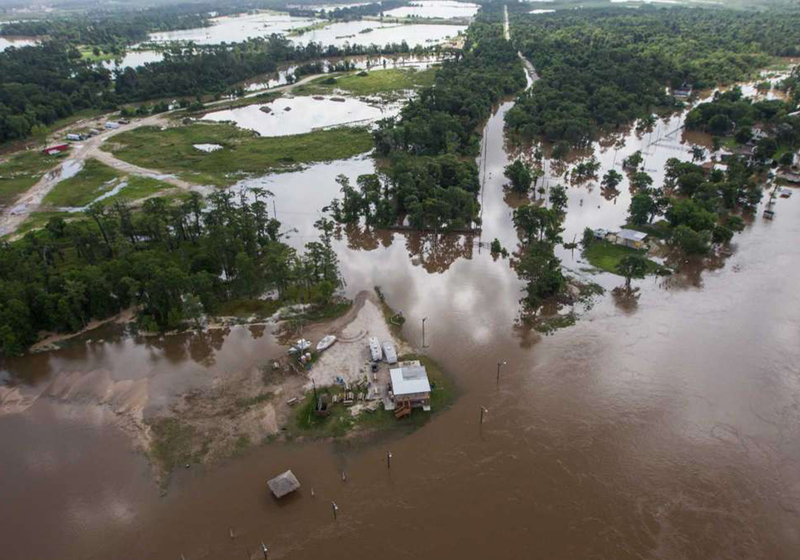 After five flooding disasters devastated the area in 2015–2016, Liberty County, Texas, made resilience its highest priority by establishing new floodplain standards in its comprehensive plan. After Tropical Storm Irene caused massive flooding and destroyed thousands of homes in 2011, planners with the Two Rivers-Ottauquechee Regional Commission in Vermont quickly responded by developing a flood buyout program so homeowners could rebuild their lives sooner. Homes were purchased at 100 percent of pre-flood value, thus preventing families from financial ruin and enabling the town to return these sites to safe public reuse as public parks and river access points. It also saved lending institutions significant losses. Funds from a hazard mitigation grant from FEMA, CDBG-Disaster Recovery funds from HUD, and funds from the Vermont Housing and Conservation Board were used for the buyouts. The project used $119 million to purchase and demolish 140 properties, improve flood storage, and revegetate stream buffers. Three brownfield sites were remediated, and 17 new riverside parks or access points were created. Additional sites are still in the process of being bought or cleaned up. 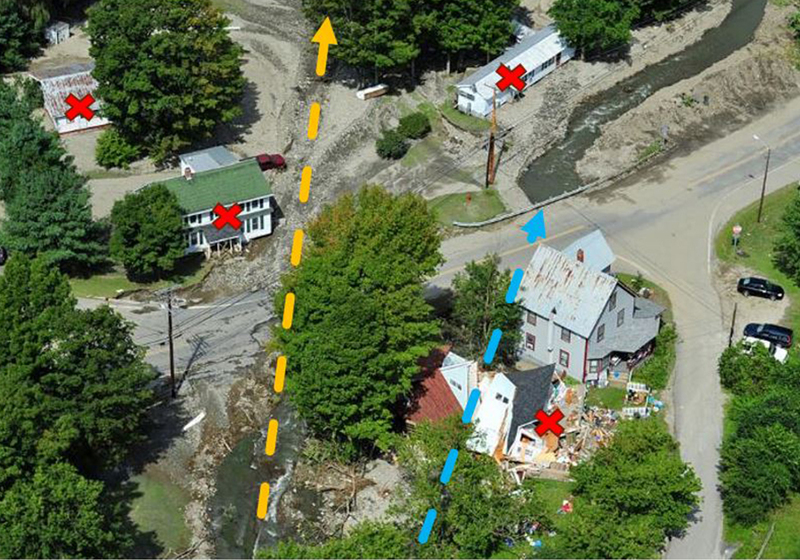 The blue arrow shows the normal path of Rochester's White River while the yellow arrow shows the actual path it took during Irene. The red Xs are buildings that were bought out in the flood buyout program. 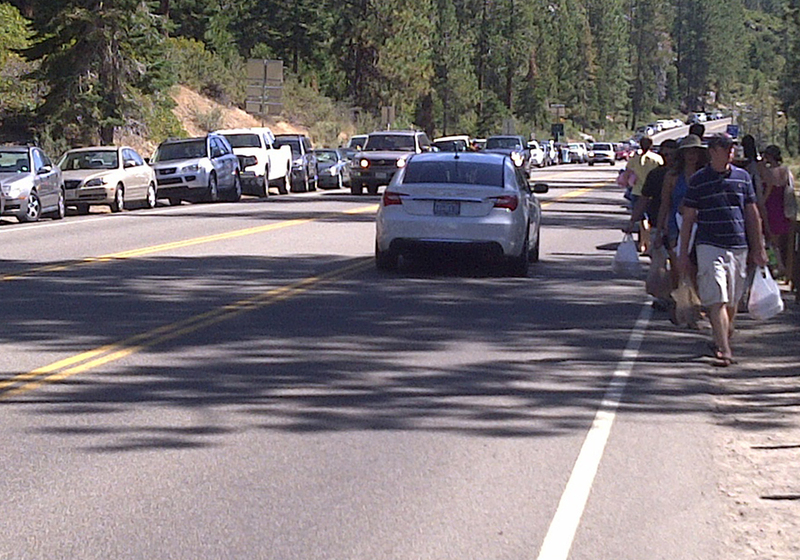 When Lake Tahoe officials wanted to understand how traffic congestion from the estimated 8–10 million annual visitors was affecting the environment and visitor experience, planners created a comprehensive multimodal transportation implementation plan using cell phone data rather than traditional traffic counts to show trip origins and destinations for several groups of travelers. The data revealed the number of visitors was 2.5 times the previous estimate, with over 10 million vehicles annually impacting the rural roadway network. After showing the correlation of the most popular destinations to existing transit services and ridership, planners recommended systemwide improvements that would achieve 20 percent transit mode share in 20 years, thus improving air and water quality and providing a more enjoyable visitor experience. The lack of sufficient parking, sidewalks, and transit from mobility hubs often puts visitors in the way of harm from traffic. As of 2016, only 16.5 percent of St. Louis residents reported commuting downtown by a transportation mode other than a vehicle. The Downtown St. Louis Multimodal Transportation Plan attempts to reverse this trend by enhancing connections in the downtown transportation network and offering alternative transit modes, such as biking, walking, and public transit. 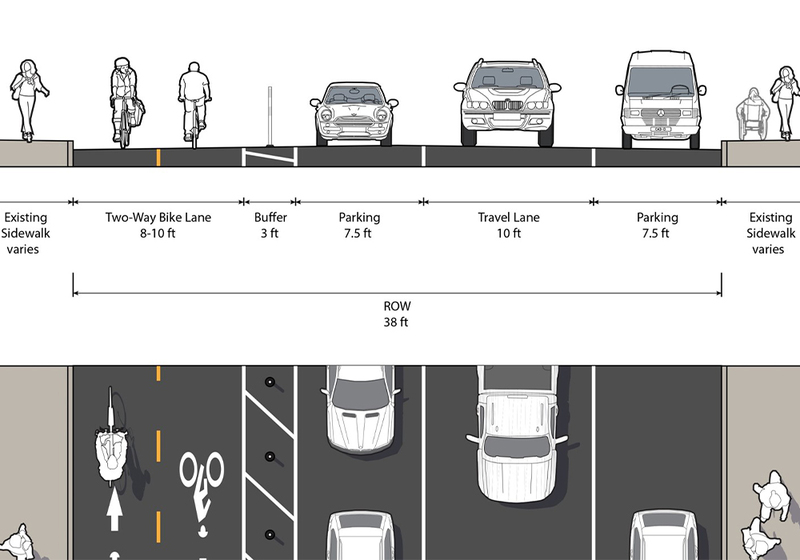 The Multimodal Transportation plan calls for a hierarchy of downtown streets that prioritize travel by different modes while still accommodating vehicles. Traffic signals are retimed with shorter wait times and longer walk times to better manage pedestrian traffic. Other improvements include a dockless bike share program that began in April 2017 and the installation of several smart wayfinding kiosks on priority transit routes. More foot and bike traffic is expected to boost the local economy while easing traffic congestion, improving air quality, and enhancing residents' quality of life. A hierarchy of streets in downtown St. Louis prioritizes pedestrians, bicyclists, transit users, and then motorists. The Cache County Trails and Active Transportation Master Plan, the first-ever adopted trails plan in northern Utah, illustrates a collective vision of Cache County as a premier outdoor lifestyle destination drawn from 15 individual community and regional plans. Presented in a 30-page digital document with links to 66 pages of additional references and guidelines, the plan unifies county-wide planning efforts by coordinating routes, trails, and biking lanes among all municipalities; sorting projects by municipality to assist local research and decision making; and providing city staff with direct reference to other Utah municipal codes, funding sources, designs, and practices that support project implementation. 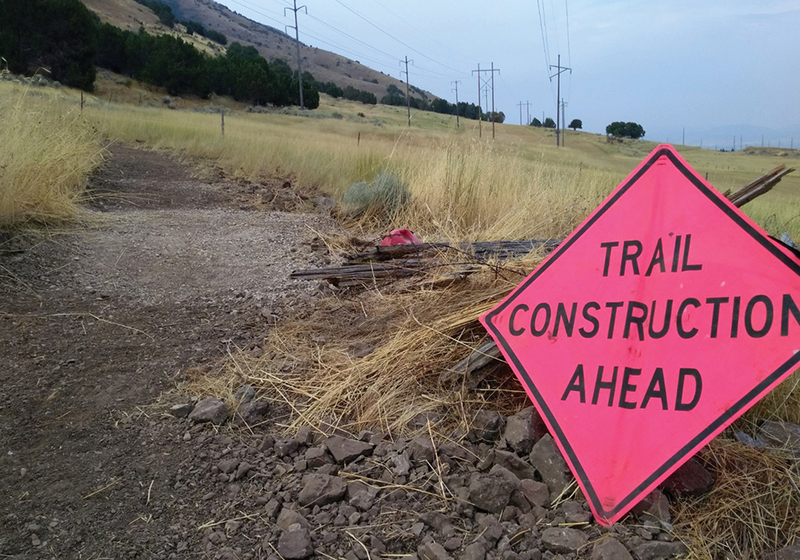 Cache County, Utah, has received $682,000 in grant funding since the master plan was adopted, enabling several miles of trails to be built. Two economic and planning instruments have shaped the recent transformation of downtown Allentown, Pennsylvania. The first was a state-level economic incentive that created the Allentown Neighborhood Investment Zone (NIZ), which led to extensive commercial development and reversed job sprawl. State taxes generated in the 128-acre NIZ are used to pay debt service on financed improvements within the district, effectively reducing the cost of real estate development and infrastructure. The second is the 2014 Allentown Downtown Development and Urban Design Plan that helped guide investment generated in the NIZ to the greatest long-term citywide benefit. The plan prioritized downtown housing for long-term economic development and identified public space improvements to provide more neighborhood amenities and invigorate downtown streets. A rigorous design review was established to make sure NIZ incentive developments fit the urban, functional character of the renewed downtown neighborhood. With a limited budget for capital improvements, the city identified ways to leverage existing assets like sharing underutilized structured parking with new developments and enhancing the sidewalk network. In total, $675 million in new investment for 22 development projects has come to downtown. Allentown's Development and Urban Design Plan established a rigorous design review process for new Neighborhood Incentive Zone (NIZ) development.